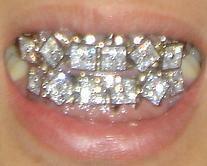 Bling for your mouth is widely popular with many outrageous looking jewelry being added all the time. But is there anything you can do for your pet? Have you ever wished that you could hug a loved one - be they your mother, father or even a beloved pet - after they die? Well, now you can. 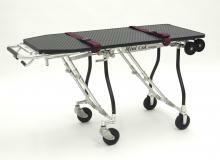 At the National Funeral Directors Association convention in Las Vegas in October, funeral service practitioners got a firsthand look at a new product that some people thought they'd never see: a pet removal cot.